Just seconds after the UFC announced former middleweight king Anderson Silva (pictured) would make his return from a devastating injury against Nick Diaz, most gambling degenerates (present company included) wondered what the betting lines would be. They’re both coming off consecutive losses and extended layoffs, so who gets the edge? Would Silva be favored because Diaz is entering his weight class? Should Diaz be the odds-on favorite because he’s younger and not coming off a shattered shin? The powers that be have given “The Spider” the early nod. 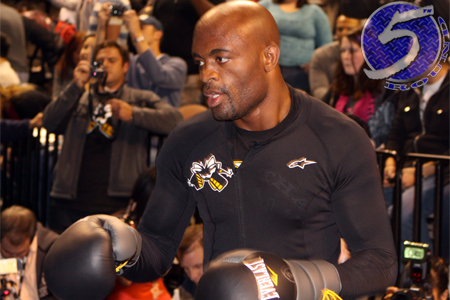 Silva is a 2.5-1 favorite to return to the win column. Diaz, meanwhile, is pegged as a 2-1 underdog against the most decorated champion in UFC history. The 185-pounders headline UFC 183 on January 31 in Las Vegas.